With a few massive international tournaments rapidly approaching, Nike are making a play to remain the most buzzworthy brand on the pitch. The Spark Brilliance Pack arrives just weeks before the Copa America and Euro 2016 competitions kick off — and this ain’t just any old color update from the Swoosh. No sir. 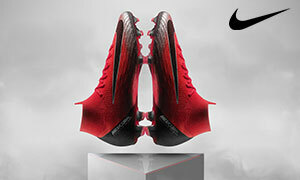 Nike teased the new Mercurial Superfly V two months ago, stoking the embers of intrigue for boot fans the world over. With this pack, we finally have the first official colorway that the public can get their hands on. In a fiery black and red, the Superfly V is undoubtedly the headliner of Spark Brilliance, but Nike have a couple other nuggets here that will excite their fans. We dove into the full rundown on the changes to the Superfly in the link above, so I’ll rehash the short version here. 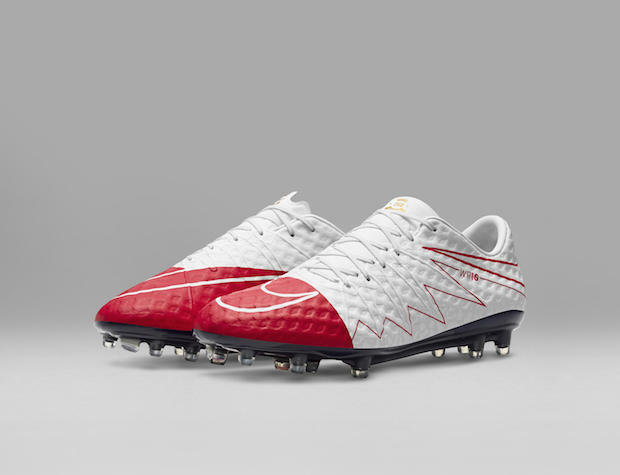 The most significant update is the revamped soleplate. Instead of a flat outsole, the Superfly V’s plate is mapped out for the natural shape of the human foot. What used to be a carbon fiber soleplate is now even lighter and (somehow) stronger. 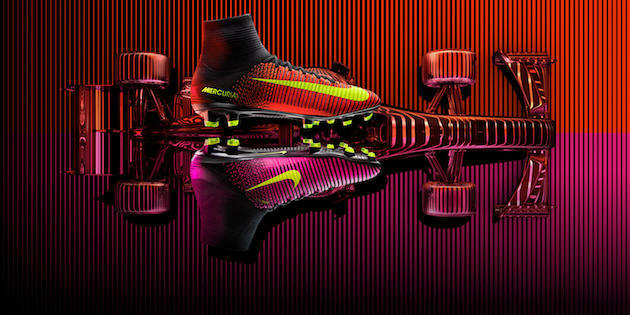 Nike is confident this change will only enhance the Superfly’s speed in every way. The other noticeable change is the “speed rib” 3D texture on the upper, which is intended to assist speed-oriented players in dribbling quickly with the ball. I would guess Cristiano Ronaldo will be in the new boots for the Champions League final on May 28th. Check out the Tron-esque video below, featuring CR7 himself. 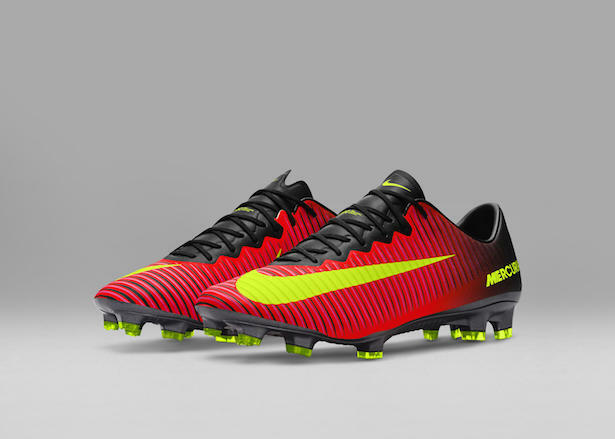 Of course, this means there is also a new Mercurial Vapor XI, which will raise the pulse of those not fully enamored with the Superfly. We’ll have a full post on the updated Vapor, but the early images look spectacular. Now we arrive to what would be the lead talking point in just about any other Nike release: the return of the Hypervenom I upper. 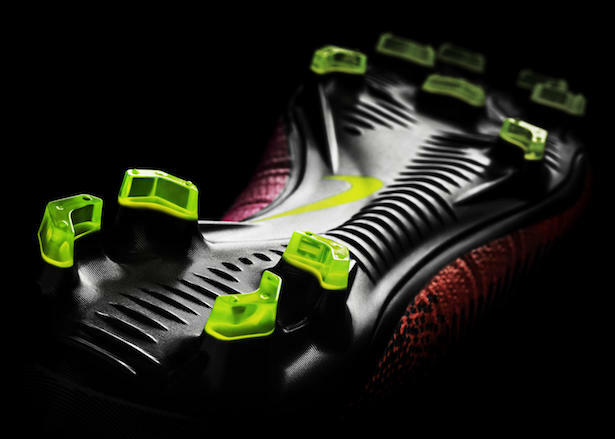 This had been rumored for some time, but we are finally seeing the beloved Nikeskin dimpled upper from the Hypervenom Phantom I return, this time on the Phantom II. Clearly, Nike felt like they had to do something about their issues with professionals opting out of the Hypervenom II (we dubbed it “The Hypervenom Exodus“). 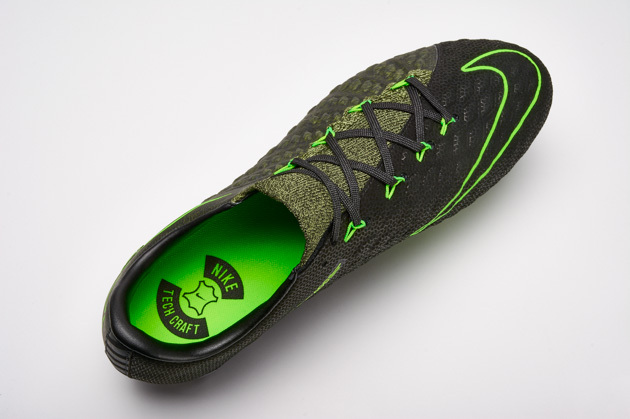 VP of Nike Football Footwear Max Blau admitted that the, “upper of the Hypervenom II takes a bit longer to break-in than the Hypervenom I.” To make the break-in time quicker, the original upper has been brought back in what will probably be a widely praised move, especially considering the relatively tepid support for the Hypervenom II lately. 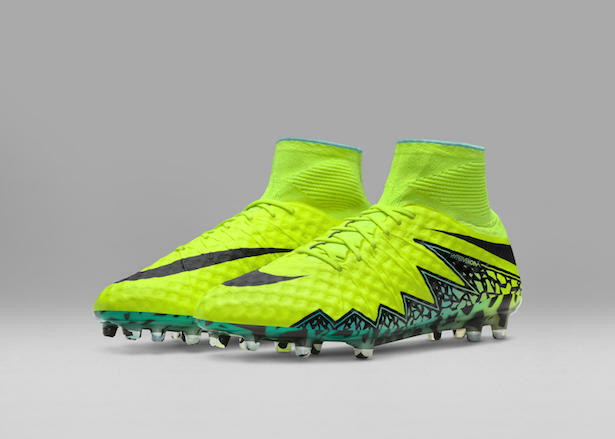 The new colorway comes in a Volt with turquoise accents at the bottom. 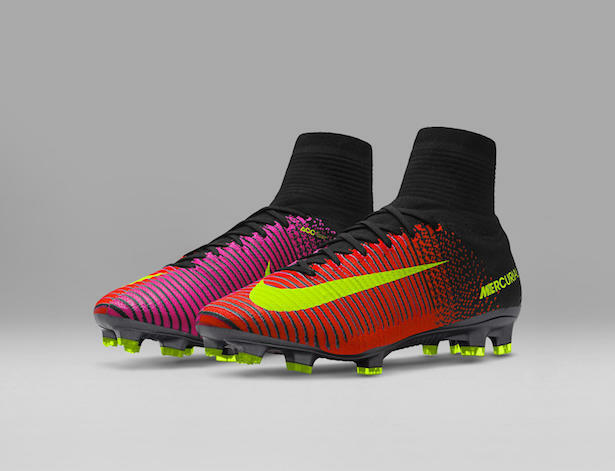 The Magista and Tiempo will fly under the radar, for this round at least. 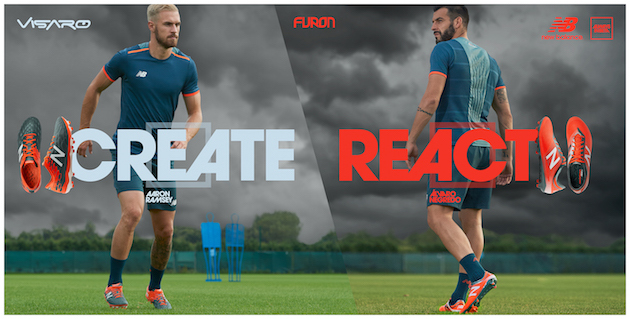 Which is a shame, because the Spark Brilliance Pack has granted both of them fantastic colorways. 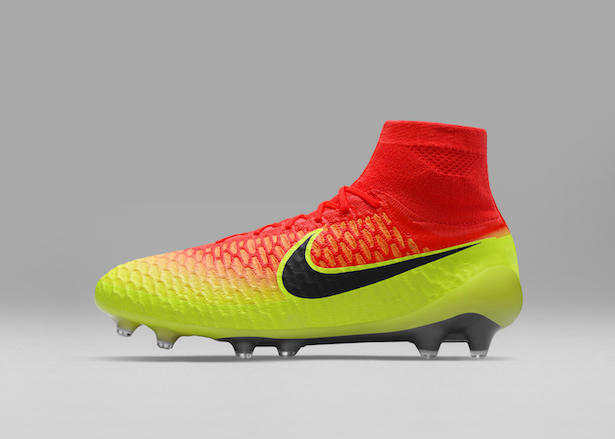 The Magista receives a blazing red that transitions to Volt. 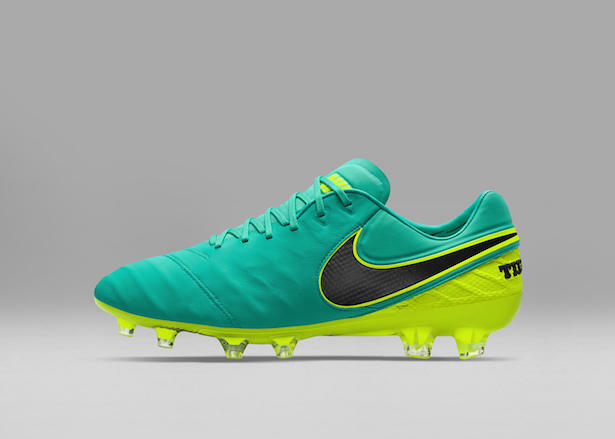 Meanwhile, the Tiempo comes in mainly turquoise, with a Volt outsole and heel.